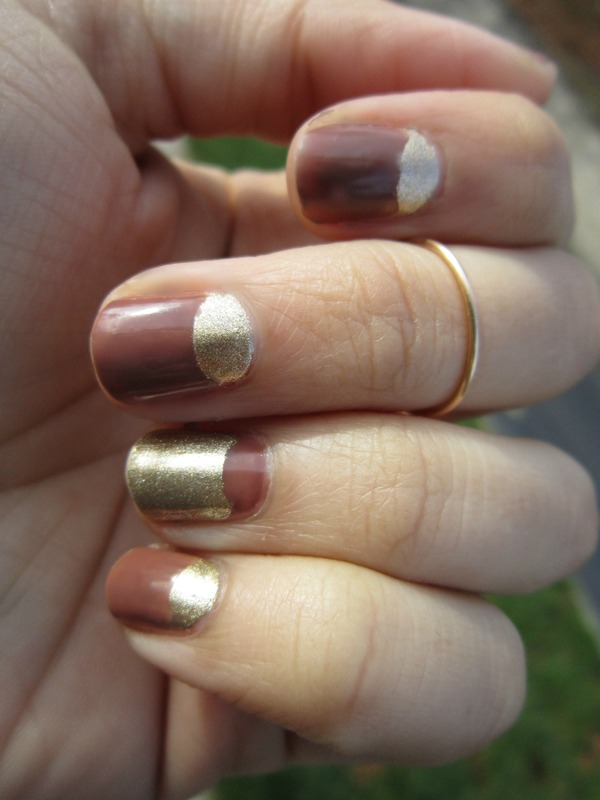 This year, I’m rockin’ this mani for Thanksgiving. I created it by painting a base color of Orly Luxe on each finger*, taping it off with reinforcement labels (found at your local office supply store) at the nail bed for the half-moon shape, and then painting a coat of Jafra Mocha Cream over the top. *Note that I did the opposite of this for each ring finger, to jazz it up a bit. I am really liking the mix of brown and gold for the fall holiday. Are you all looking forward to Thanksgiving tomorrow? What do you typically do? I’ll be having a big turkey dinner with my parents and grandmother, my stepdad’s dad and D, then we’ll head over to see D’s side of the family for dessert! Yum.